One propogation made that is not dependant on the sun spot cycle or any other solar activity is Meteor Scatter (MS). Meteor Scatter is the reflection of radio waves off of the ionised trails from meteors burning up in the upper atmosphere. This is used by radio amateurs to make QSOs up to about 2500 Kms. The ionised burst can last from as little as a fraction of a second to a few seconds therefore each element of the QSO has to be transmitted very quickly. 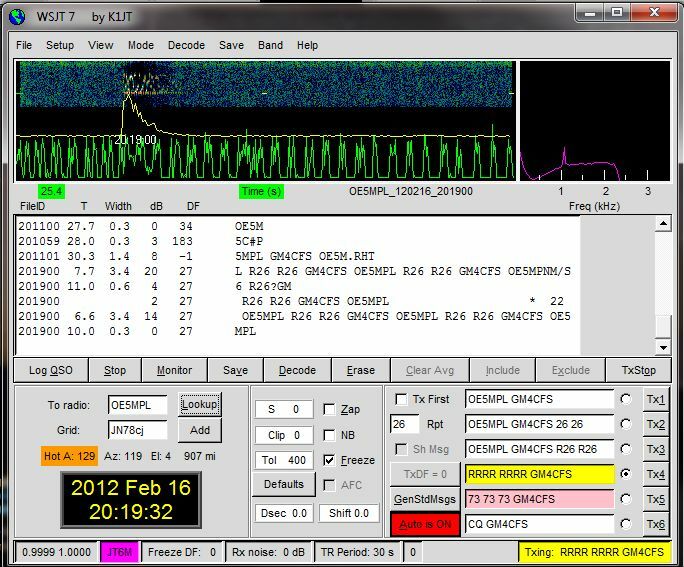 Originally high speed CW was used but these days the QSO is achieved by the use of a suite of digital weak signal software applications WSJT (Weak Signal by Joe Taylor) developed by Joe Taylor K1JT. For 6 metre MS the most commonly used mode is JT6M or ISCAT. 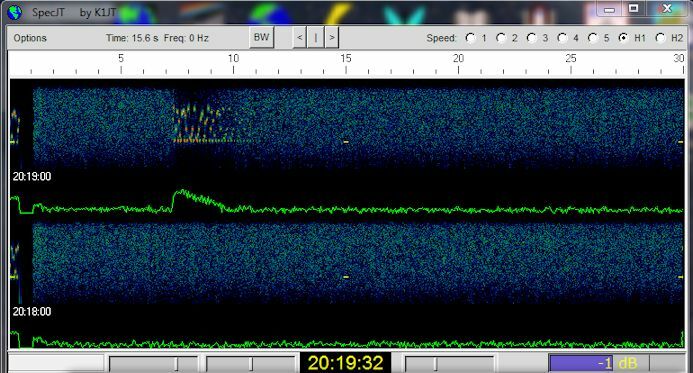 An example of a meteor burst received from OE5MPL using WSJT software in JT6M mode. The fourth line down shows the text “….GM4CFS OE5MPL R26 R26…” The is OE5MPL acknowledging my signal report ‘R’ and adding his signal report ’26’.